If you or a loved one has been diagnosed with cancer, you may feel as though your world has turned upside down. It’s hard to focus on all of the details, options and choices that need to be considered. At Hired Hands Homecare, our California caregivers understand the challenges and struggles faced by those battling cancer and by those who love them, and want to help. 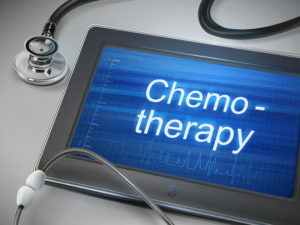 To start, we thought it might be beneficial to provide some basic details about one of the most commonly recommended treatments – chemotherapy – and answer some of the most frequent questions about this treatment option. Treatment can be every day, every week or every month, followed by a period of rest. If the doctor has recommended chemotherapy or another form of cancer treatment, be sure to ask for a written copy of the treatment schedule from the doctor so that you fully understand and can refer back to it for necessary details. How each person feels during or after chemotherapy can vary. Some people feel well enough to keep their normal schedules. Others feel more tired and will be more comfortable with a modified routine. Frequently, clinical trials of new treatments are available that a patient can opt to try. By participating in a clinical trial, someone with cancer has the opportunity to try a new treatment that could potentially bring about better results than the treatment already being given. Check with the doctor to see if clinical trials might be an option worth exploring. Find out why you’re receiving chemo (what the chemo hopes to accomplish). Ask how the chemo will be administered. Check with your doctor or nurse before you take any medicine, vitamins, or herbs. Some of these can change the way chemotherapy works. Hired Hands Homecare provides needed support to those with cancer and their families, for as much or as little as requested during cancer treatments and recovery. To learn more about our services in Marin, Sonoma, Solano and Napa counties and the Tri-Valley area and about our compassionate California caregivers, contact us today at 866-940-4343.